You are looking for all the Tapes for Vanguard Quest in Destiny 2? We have found all the news for you! Find all orbs, weapons, and secret missions in Devil May Cry 5. We have all the find and puzzle solutions for you. Open the 4 tombs in Anthem! We show you all the inputs and the challenges. Finds all MP3 players in Far Cry New Dawn. We all have collectibles and 100% trophies and achievements for you. Find all collectibles in Metro Exodus? We show you all the locations of the respective postcards and diaries. Find All Hidden Treasure Hunt Places in Far Cry New Dawn, we’ll show you all the locations and solutions! We show you all the locations of the hidden MR. Raccoons Bobble Heads in Resident Evil 2. Play 100% with our solutions. You are looking for the Chunks of Adamantine in Darksiders 3? We’ll tell you all about this precious metal and show you all the locations. 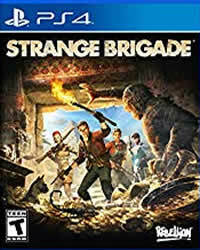 Play 100% Strange Brigade Pyramid of Bes – We’ll show you all the locations of the collectibles. Cats, jars, gems and more!